This blog includes information for dating startups and entrepreneurs, who are planning to develop a dating app. Herein curated a few simple strategies of Pure, an app like Uber for hookups, that dating startups can adapt during dating app development. It seems that the craze of online dating has not yet faded away. Digital technology plays an important role in dating. And, it has totally changed the way how people seek out, maintain, and end their relationships. Well, the applications for dating or hookups have made the ‘dating’ easier. However, in this marathon of the best dating & hookup applications, there is one of the successful dating startups named Pure which is best known as Uber for hookups. The dating service app, Pure, was created by GetPure Inc in late 2013. 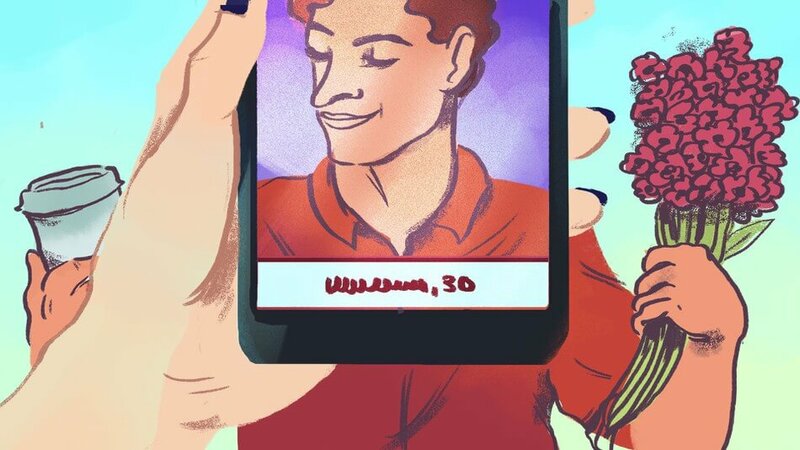 On a fundamental level, the purpose of the dating app is to connect users in the time-limited fashion. Before talking about the strategies of this hookup app, let’s check out the basic information of Pure app. 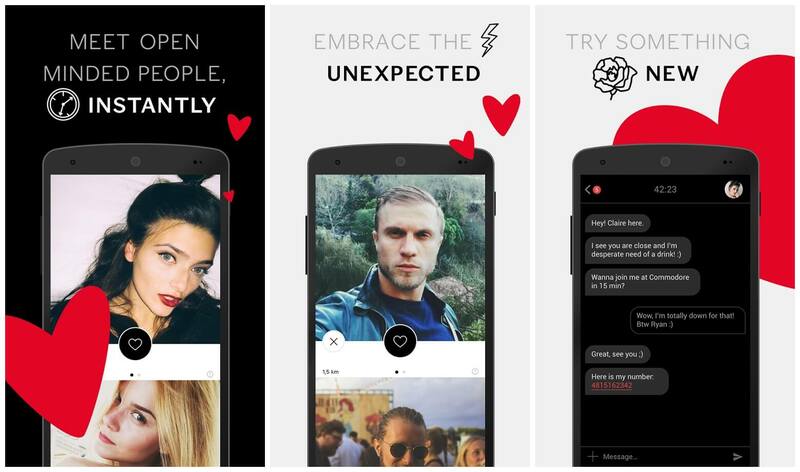 New York-based hookup app, Pure, is not purely based on long-term relationship app, however, it inclines to provide on-demand dating for people who do not look for serious or long-term relationships for themselves. An app like Uber for hookups is for those who are looking for an adventure, but not for a relationship. It gives a quick, direct, and discreet way of hookup to its app users. 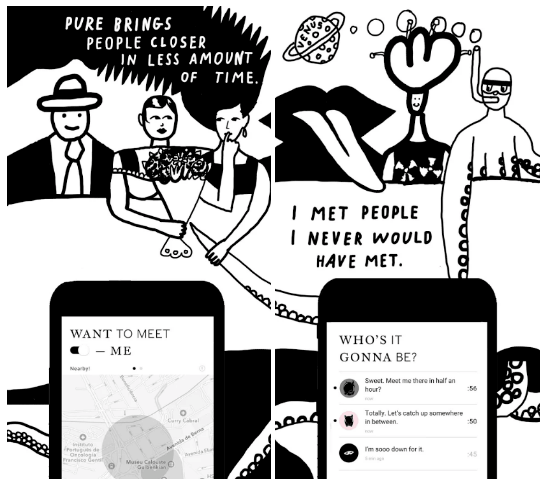 The hookup app like Pure claims not to reveal people’s private lives, and it remains private. App users cannot see each other’s social media links and email addresses. Furthermore, there is not a messaging exchange option in Pure hookup app. Talking about the performance of the Pure app, the usage rank is #93 in the dating category across Google Play Store, as per the latest report from SimilarWeb. 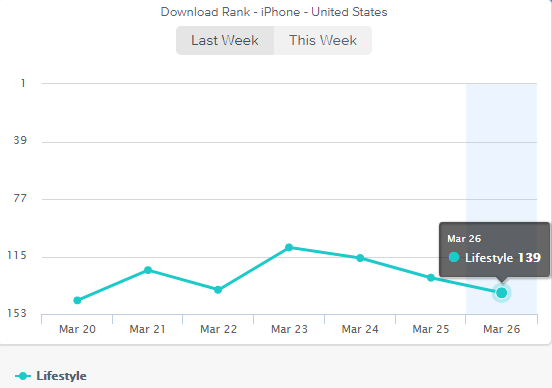 According to the App Annie, the download rank of Pure app is #139 in lifestyle mobile app category. This is what you can see in this graph. 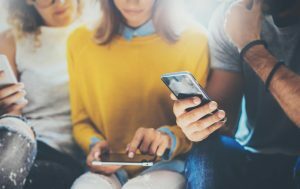 As a dating startup, if you are all set to create a dating app like Pure, Uber for hookups, then you need to consider the following strategies during dating app development. One of the important strategies to be successful is to take steps carefully. It provides an online platform for dating app users with a secure dating application. The dating app like Pure is the best for the people who are looking for adventure relationship, but not a serious one. The strategy, which is worth to pick, is that you as a dating startup need to take a small step. 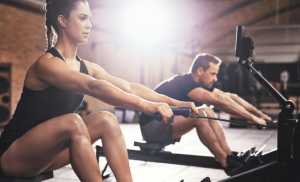 Before its launch, this on-demand hookup started with a private beta for iOS users only. The app had taken a small step rather than launched the application across every platform. From the emergence of dating app, Pure had already approx. 100,000 dating app users, who were in the waiting list. The simple strategy that followed by Pure app is to take a small step in order to achieve success in the marketplace. Being a tech startup or entrepreneur, if you are ready to dive into this niche with dating application like Pure, then considering such a strategy can take you a long way. Pure gives a unique way to engage dating app users in dating. It gives a different method of dating while making users’ identity private. The Pure app is based on the concept of anonymity. In the app like Uber for hookups, it allows users to simply create a request of date with the specifying time and location. If no one responds to the dating request, then it will automatically erase. In this way, your users get complete privacy. Thus, an app like Uber for hookups, Pure has believed in the concept of anonymity, and how seamlessly has taken the position in their users’ lives. The next simple strategy of Pure dating app is to offer the fastest way to hook up. Without providing a number of details of themselves, Pure provides the best way to hook up with the strangers. Without revealing the information, users can connect with each other in order to achieve adventurous love. You can also allow your users to react in terms of “thumbs up” or “thumbs down” function that gives users a much easier way in order to find out a partner without being exposed to everyone. 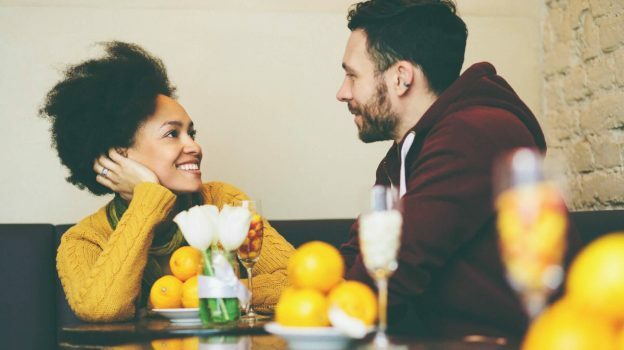 As a dating startup, if you would like to embark with this concept in dating, then you need to adopt this simple strategy, which can take your dating app a long way. The blend of the concept of fastest dating, privacy, and anonymity can take your dating app to the next level. Are You all Set to Go to Develop a Dating App like Pure? You have checked out a few simple strategies of Pure, an app like Uber for hookups. If you are all set to go with an app idea on dating, then we highly recommend you to adopt the strategies carefully. If you are having an app idea on dating and want to create a mobile app in Android and iOS, you can cross-verify it with us as we’re a leading an iOS/Android application development company and build working apps from the ground up. And, we’ve already developed over 50 dating applications like Tinder along with the unique features and functionalities like in-app messaging, geolocation, filters by preferences, matching algorithm, anonymity for users, multi-lingual support, social media integration, and payment gateway integration and cross-platform ability. In case, if you still have any query or confusion regarding the cost of hiring Android developers in India, how much money do dating apps make, how to make money with an app idea or how much money does it take to make an app like Uber for hookups, then you can get in touch with us through our contact us form. One of our sales representatives will revert to you as soon as possible. The consultation is absolutely free of cost. This page was last edited on April 16th, 2019, at 9:27.